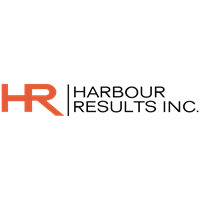 Harbour Results, Inc. (HRI) a leading business and operational consulting firm for the manufacturing industry, offers operational and strategic advisory expertise, and assessment programs to help optimize a business’s performance. Focused on small- to medium-sized manufacturers, many of which are family owned or privately held, HRI utilizes its knowledge, experience and data to build upon the established foundation with sound strategies and operational improvement. Additionally, HRI offer’s PMA members a special program called Strategic Assessment Program (SAP), which is an efficient, easy and affordable way to help members identify gaps, opportunities for improvement and strengths within their organization. The two-day assessment, conducted by HRI experts evaluates your company and provides best practices, gives you benchmarks on KPIs, shares substantive ideas and actionable insights that help create a road map to improve performance.